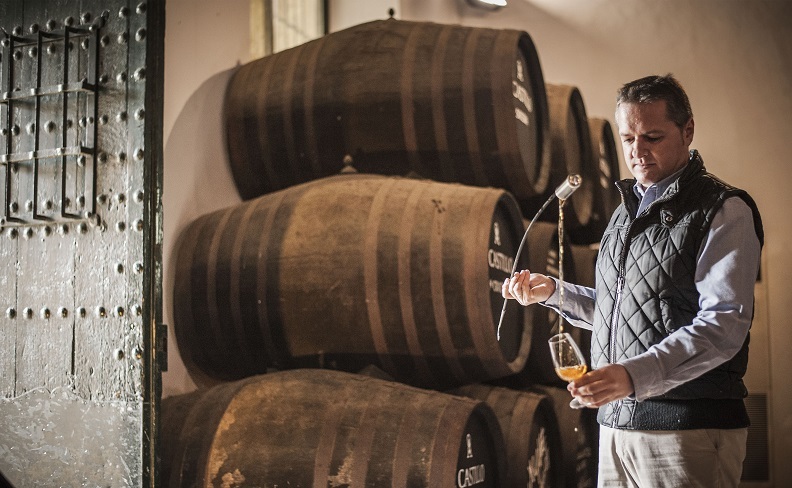 Sergio Martínez of LUSTAU: Best Fortified Winemaker 2018 – Luxury-focused. Estate-driven. World-renowned. Jerez. 11 July 2018. Sergio Martínez, winemaker and Cellar Master of Bodegas Lustau (www.lustau.es) received last night the trophy that recognizes him as the Best Fortified Winemaker in the world at the awards ceremony held in London by the prestigious International Wine Challenge. This award is the conclusion of the astonishing results achieved in the 34th edition of the contest, in which Lustau, with a total of 51 medals, stood as the winery with the most gold medals (19) at this year’s challenge. “This is the result of the daily dedication from a great team. This award is for each and every one that works at Lustau. We continue moving forward” stated Sergio after receiving the trophy. Sergio upholds the title he already achieved last year and that served as base for reaching the title of Best Winemaker in Spain in October 2017. Bodegas Lustau is considered a world-class benchmark for top-quality wines. Lustau’s philosophy has remained unchanged since its inception in 1896: to provide consumers with the widest and most select range of Sherry specialties. In 2016, Bodegas Lustau was named Best Sherry Producer by the International Wine and Spirit Competition and ranked number 7 in the WAWWJ “Top 100 wineries in the world” annual ranking. ← Previous Previous post: Alfresco Wining – What’s in Your Glass?